Need to get away, but only have the weekend? We've got you covered. Tybee Island is a beautiful barrier island just outside downtown Savannah. Bring your family for the day to enjoy the beach, take a dolphin tour or kayak through the marshlands. It is rich in history too, offering attractions such as Fort Pulsaki, a Civil War fort. Visitors can also walk or bike along the old Atlantic railroad. Tybee has two lighthouses, which are both available for tours and a climb to the top! Downtown offers a unique selection of shopping, from retail stores to art galleries. At the end of the day, enjoy a delicious seafood meal while watching the sunset at one of the many waterfront restaurants. Just 45 minutes north of Savannah lies one of South Carolina’s most popular resorts. 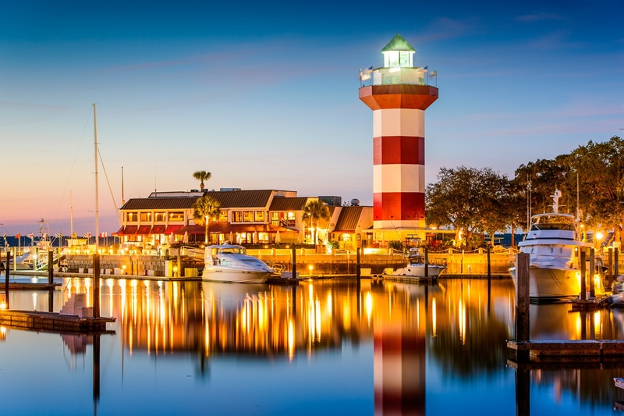 Hilton Head Island offers much more than just the beach! It has over 20 champion golf courses as well as tennis courts throughout. Once you finish, you can go for a relaxing stroll through one of Hilton Head’s many trails, all the while spotting dolphins and exotic birds. One of the fan favorite activities they offer is horseback riding. Whether it be on the beach, trail or road, you can experience Hilton Head first hand by horse. As your day trip comes to a close, take your pick of one of the 250 restaurants located on the island to enjoy dinner. Immerse yourself in nature while also incorporating some education in a family activity by driving out to the local wildlife refuge. Enjoy your drive on this four mile long road where visitors can spy on alligators, otters and bald eagles. If you’re feeling adventurous, you can get out of the car and walk along the Cistern Trail. During specific seasons, hunting and fishing are permitted, as are canoe rides along tidal creeks. For those in search of a deep look into the history of Savannah, Isle of Hope is the place to visit. Located just outside Savannah, Isle of Hope is a historic neighborhood, originally settled in the 1840s as summer homes for the wealthy. Today, it is a wonderful way for visitors get a deeper understanding of antebellum life. It is the ideal spot for a relaxing stroll as the streets are lined with restored cottages, beautiful southern mansions and grand Spanish moss hanging from hundred year old live oaks.